Doubles your smartphone’s battery life, giving you twice as long to surf, talk, and text. Priority charging & sync charges your smartphone first and then the case. Reduce radiation exposure by up to 70%. You’ll gain additional battery life as our technology creates a better handshake with the tower — your phone’s battery isn’t drained while it constantly works to connect.mJoose patented technology connects to the smartphone, reducing dropped calls and delivering great reception. 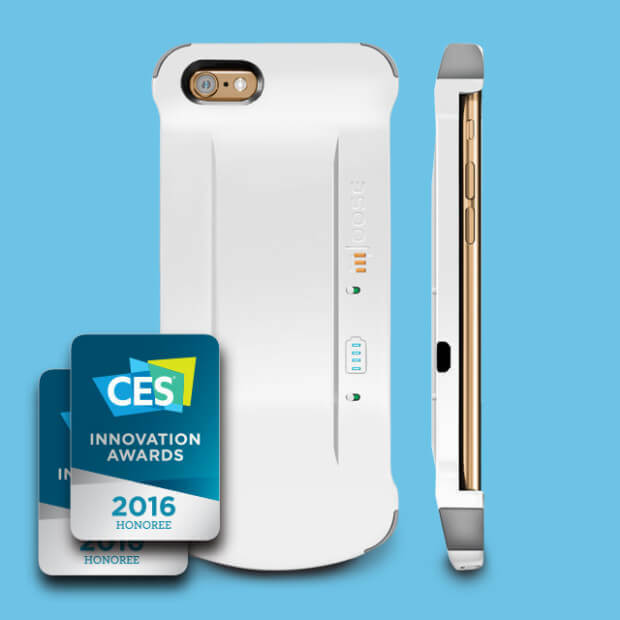 Up to 100x signal strength yet our case is certified to lower your radiation exposure from your smartphone by up to 70%. Improves data connection speeds in weak signal areas, by extending the range to other towers which results in better Internet connectivity at 4G or LTE speeds if available. Patented technology works with 2G, 3G, 4G, and LTE for all carriers. No more leaning and straining just to get a “strong enough” signal. Our patented signal amplifying case goes wherever you go. Now you can get signal and reception where you want it. We also feature our weekly tech news, comments, and interesting free software apps.